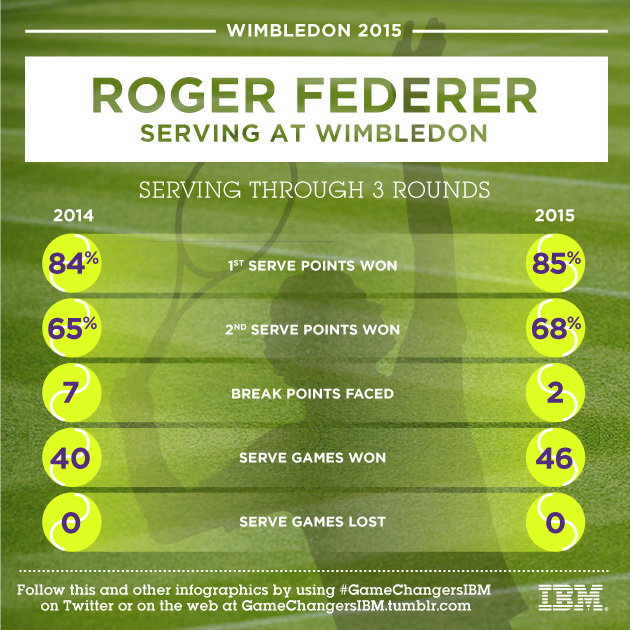 A look at Roger Federer's serving statistics at Wimbledon 2015 compared to 2014. Roger Federer has served his way into the second week at Wimbledon in spectacular fashion in 2015. Through the first three rounds, Federer has not lost serve (46 straight holds), has faced only two break points and has dominated with both his first and second serves. See how he’s done as compared to last year when he reached the final.